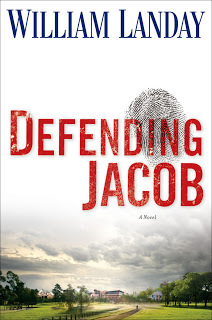 The Sentences of Courtroom Drama. . .
. . . and Jean Stafford, or How Writing about Defending Jacob (the July Coffee Talk Book Club selection) isn’t Really Writing about Defending Jacob. Since I don’t read legal thrillers, I can’t compare William Landay’s prose with John Grisham’s or Scott Turow’s. But I appreciate Defending Jacob for leading me to contemplate the differences between Landay’s sentences and the ones crafted by Jean Stafford, whose Selected Stories I’m reading now. “Jacob’s room was cluttered with huge oafish sneakers, a MacBook covered with stickers, an iPod, schoolbooks, paperback novels, shoe boxes filled with old baseball cards and comic books. In the corner, an Xbox was hooked up to an old TV. The Xbox disks and their cases were piled nearby, mostly combat role-play games. There was dirty laundry, of course, but also two stacks of clean laundry neatly folded and delivered by Laurie, which Jacob had declined to put away in his bureau because it was easier to pluck clean clothes right from the piles. On top of a low bookcase was a group of trophies Jacob had won when he was a kid playing youth soccer. He had not been much of an athlete, but back then every kid got a trophy, and in the years since he had simply never moved them” (23). “I loved the smell of the lavender she kept in gauze bags among her chamois gloves and linen handkerchiefs and filmy scarves; there was a pink fascinator knitted of something as fine as a spider’s thread, and it made me go quite soft—I wasn’t soft as a rule, I was as hard as nails and I gave my mother a rough time—to think of her wearing it around her head as she waltzed on the ice in the bygone days. We examined stockings, nightgowns, camisoles, strings of beads, and mosaic pins, keepsake buttons from dresses worn on memorial occasions, tortoiseshell combs, and a transformation made from Aunt Joey’s hair when she had racily had it bobbed. Lottie admired particularly a blue cloisonné perfume flask with ferns and peacocks on it. ‘Hey,’ she said, ‘this sure is cute. I like thing-daddies like this here.’ But very abruptly she got bored and said, ‘Let’s talk instead. In the front room’” (104). Stafford’s deft prose conveys far more than Landay’s. His narrator’s inspection of Jacob’s room yields nothing of the father’s character and scarcely more of the son’s. Essentially, he’s a fourteen-year-old from central casting. From the list, we know less of the mother than we know of her sister, her daughter, and her daughter’s partner in crime. But the list doesn’t need to reveal the mother’s character because it serves another purpose. That’s not the case with Landay’s list. His only substitutes for character; Stafford’s constructs a scaffold for building it. Landay, William. Defending Jacob. 2012. New York: Dell, 2013. Stafford, Jean. 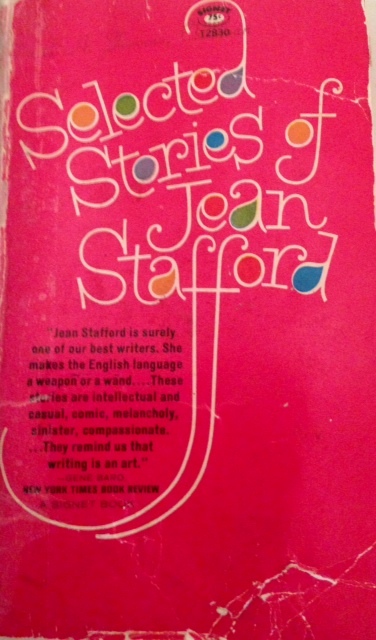 Selected Stories of Jean Stafford. New York: Signet, 1966.